I have been quiet for the last several days, mostly because I have little to share. 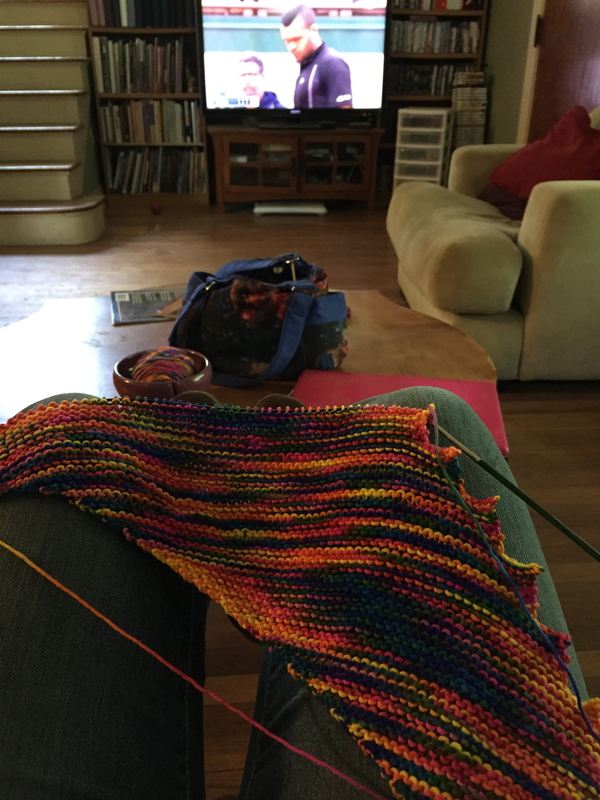 I’m still working on my Hitchhiker while I watch the French Open and it’s growing. I’ve got the pattern memorized by now so it’s going faster, and I anticipate much progress being made today when I watch Nadal and Djokovic battle it out. 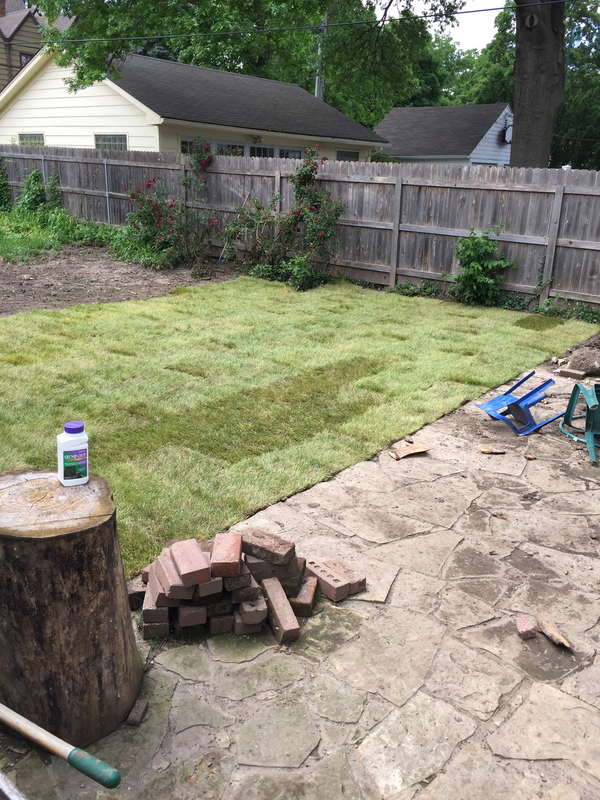 On a more exciting note, the rain finally stopped long enough for us to get a bit of sod down in the backyard! I say “us” when really it was the husband. He did good work. There wasn’t much sod available; it’s been too wet to harvest or cut or whatever they do. This is a good start, though, and now the goal is to keep the puppies off long enough to let it take root. 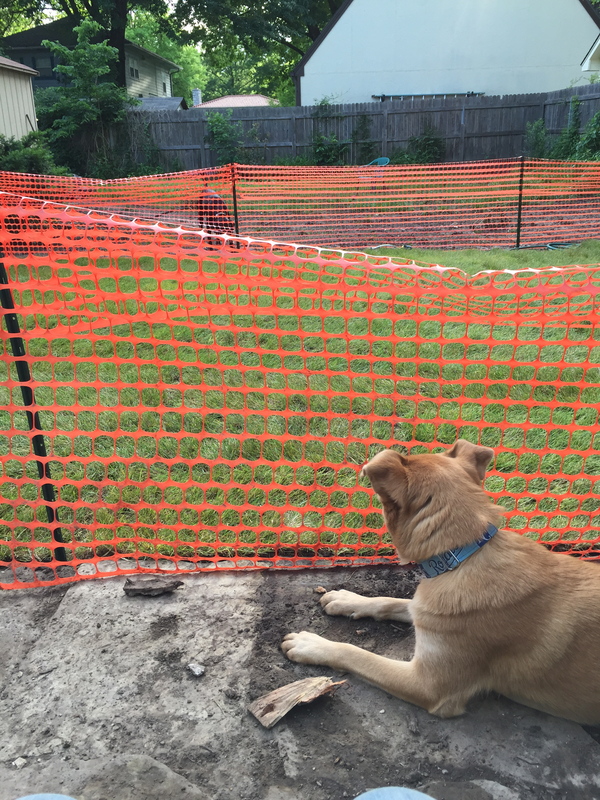 They’re not crazy about the fence, and both of them have jumped it a couple of times, but they don’t go out unsupervised anymore so we’re able to limit the exposure. Yesterday I took them out for two walks to replace their normal backyard romping, and the plus is that today they are VERY sleepy! Now it’s time for me to Hitchhike, and with any luck I’ll get to show off a finished project soon! Hitchhiker and tennis. Add chocolate and count me in! Soon the sun will be out, shining on your new yard. Three cheers! Oh, there’s always chocolate! We’ve got a few rainy days ahead before I get the sunshine, but that’s fine by me this time, since the sod can use it.